Virtual reality gaming is coming into fruition, London boutiques keep impressing, and a new fleet of cruise ships set sail. Innovation in technology is not the only thing changing the industry—research is shining a light on what's behind people’s motivation (or lack thereof) to exercise and which workouts make people the happiest. Some top-notch gyms and suppliers are named in Forbes’ “best boutiques fitness classes and clubs in London.” Some of the standout gyms use IHRSA suppliers, like SportsArt and Technogym, to help build their brand. Innovation is a key component in the list, with cycling classes that take place in a room with oxygen levels simulating high altitudes and fitness trackers that gamify the workout experience. HIIT, yoga, cycling are popular go-tos for fitness needs, and some boutiques are combining aspects of those workouts to attract and keep members coming back. Read about London’s innovative gyms. Sure, ClassPass just announced its first Getaway to the Hamptons, but if you’d rather hit the seas for your next vacation, Blue World Voyage and WOD on the Waves may be a better fit. The Gear Diva at Forbes takes a look at two new cruises that incorporate the needs and wants of the fitness-minded. The Blue World Voyage is a brand new cruise that has whole decks dedicated to various workouts and recovery, while WOD on the Waves offers CrossFit “workouts of the day” and everything else cruise ship lovers have come to expect. But your members don’t have to set sail to work out on the road. If you enroll in the IHRSA Passport Program, your members can enjoy guest access at more than 1,700 clubs worldwide when they travel. Read more about workouts on the sea. Fitness gaming is moving beyond the Wii Fit and into new untapped areas with the help of virtual reality. VR Fitness Insider reviews some top VR games that help bring heart rates up. The Thrill of the Fit, Virtual Boxing League, and BoxVR take users to the boxing ring, where throwing punches earn points. Beyond boxing, there are running, archery, and rhythm games, giving gamers and those curious about VR plenty of options. As many health clubs are learning to incorporate technology into member experience, it’s not too far-fetched to believe VR will make a larger impact on the industry. VR is already making its presence known as evidenced at this year’s IHRSA / Fitness Brasil Trade Show. Read more details about the new VR games. Team sports have a positive mental effect on participants, the most out of several different types of exercise, according to a new study. Researchers asked 1.2 million respondents how they felt days after doing certain types of physical activity and ranked the answers. The study based the ranking on answers from respondents about how many happy days they experienced after the exercises; for example, participants of team sports reported having 22.3% fewer bad days than someone who didn’t exercise at all. After team sports, cycling, gym exercise, running, recreational sports, winter/water sports, walking, and household chores were named on the list as activities that have a positive impact on mental health. This study also supports research suggesting that social activities help mental health. Read more about the study. 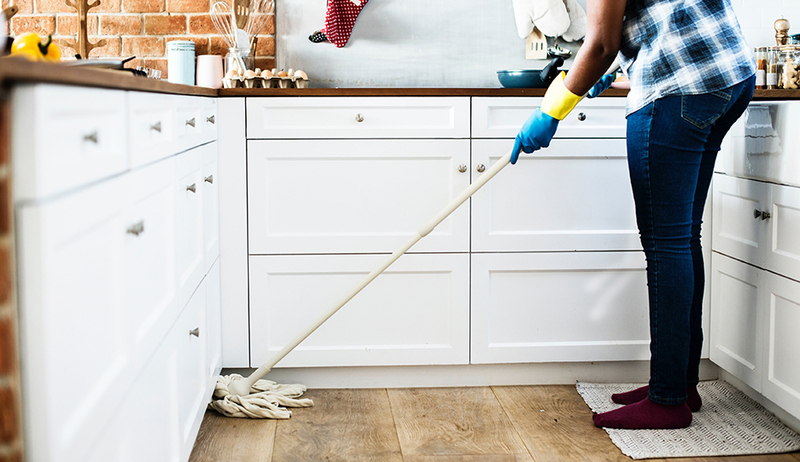 Household chores can improve mental health, along with other more intense physical activities. Read The New York Times story on P.E. memories. Rachel Valerio is the Digital Content Assistant for IHRSA. During the workweek, she is discovering exciting fitness industry news, staying on top of IHRSA's social media accounts and website, and hatching new plans to expand the association's digital footprint. Rachel's free time is mostly spent on pampering her cat, attempting new recipes, planning trips to visit her family in the Southwest (aka stock up on green chile), spending more time on the hyrdromassage bed than the treadmill at the gym, and exploring all things New England.